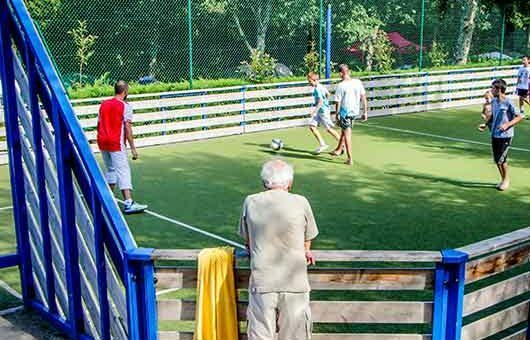 Activities and relaxation at Camping Suhiberry – a great combination for a successful holiday! Our fully trained and approachable entertainments staff organise activities suitable for people of all ages. 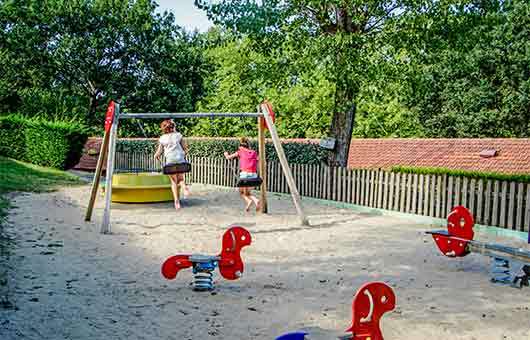 For children of all ages, this means unforgettable holidays full of fun and new discoveries. 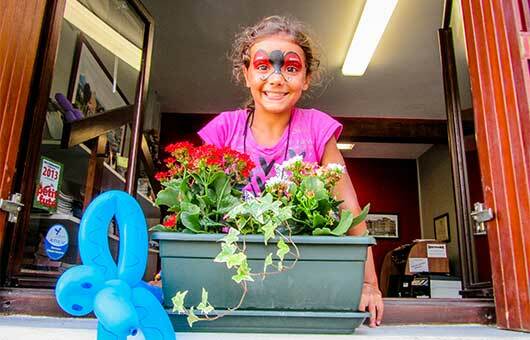 For the youngest there are team games, treasure hunts and craft activities such as painting, face-painting in Basque colours, and much more! 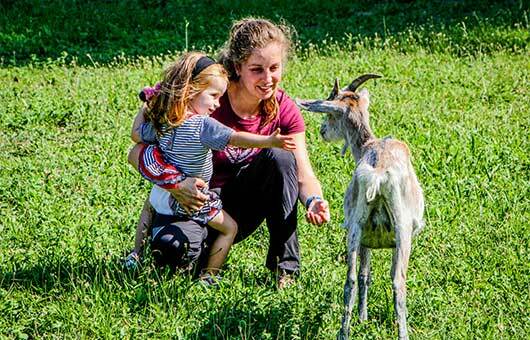 Our animal park will also make for happy kids – our mini-farm activities give children the opportunity to enjoy feeding the animals (goats and horses) maize, carrots and apples. They can also dance together at the mini-discos that are organised just for them. There is just one rule – have fun and make friends! Teenagers can enjoy fun and sporting activities and meet friends! 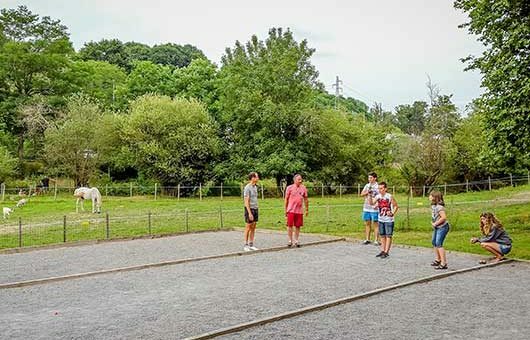 The multi-sports pitch, ping-pong tables, pétanque and tennis courts, the wall for playing the basque game of pelota, the river (for fishing) that runs along the edge of the campsite around the animal park, as well as the swimming pool, are free to use every day. Equipment (including fishing rods) can be borrowed from reception. It’s the best way to meet people! You certainly won’t get bored! more advanced-skills team games such as Smugglers & Customs Officers, Catch the Flag and giant Frisbee. Sports tournaments on the multi-sports pitch include football, basketball, volleyball and badminton). Demonstration of the Basque game of Pelota by young people from Urrugne and a competition! 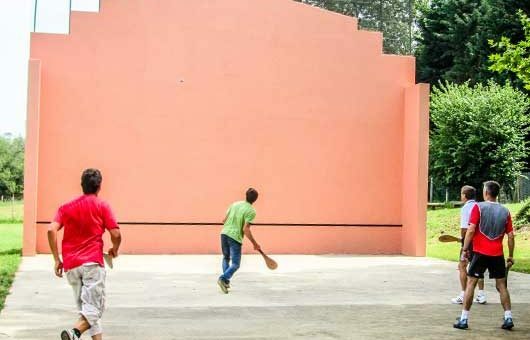 Introduction to Pelota and doubles tournament. 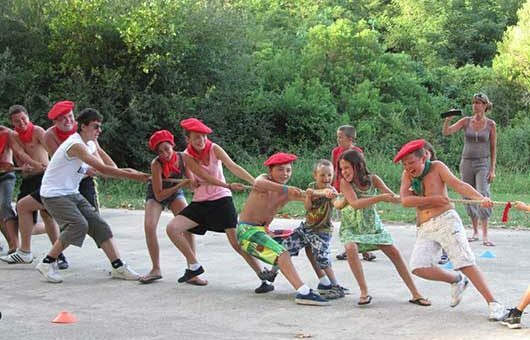 Basque sports and games such as Sokatira (tug-of-war) held between two large teams – the greens and the reds! Two evenings each week with a DJ who plays up-to-date hits for you to dance to! One additional themed evening each week such as ‘anything goes’, ‘chocolate race’ or anything else you can come up with! You can let us know what you’d like via our ideas box and we’ll see what we can do! It’s fun to visit Socoa beach with friends and it’s easy to get there on foot! 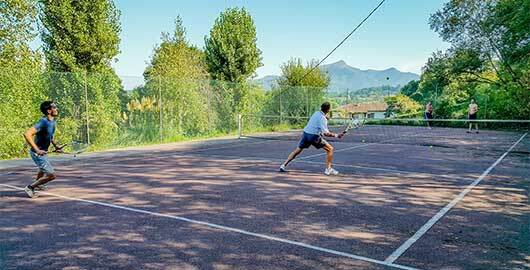 So, the ball is in your court – make the most of all these fun possibilities and do whatever you fancy! 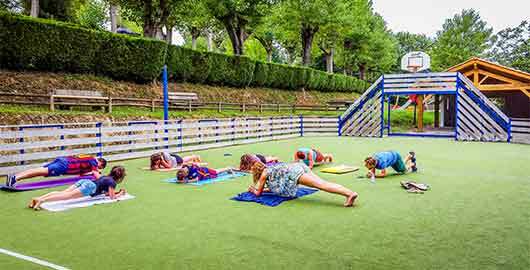 Aquafit sessions and yoga classes are held several times a week, sports tournaments, introduction to Basque Pelota, pétanque tournaments, tapas bingo, meals with entertainment, etc. 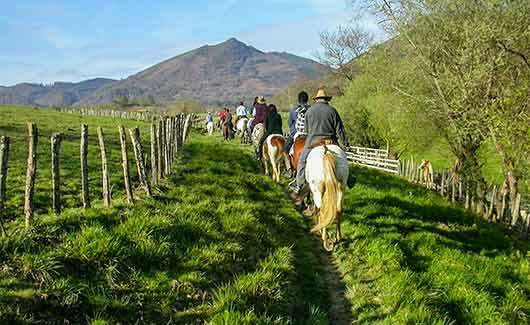 fish for carp, grey mullet and bass, or take a walk around the animal park to see the horses and goats. This little nature corner away from the pitches is a great place to relax. 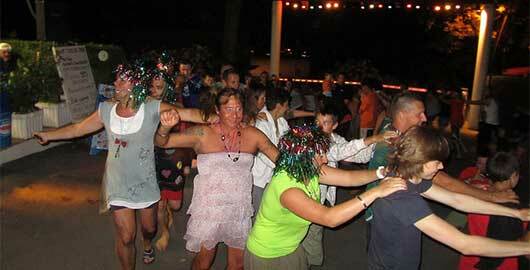 Events in the area around Camping Suhiberry – explore Basque festivals and traditions! 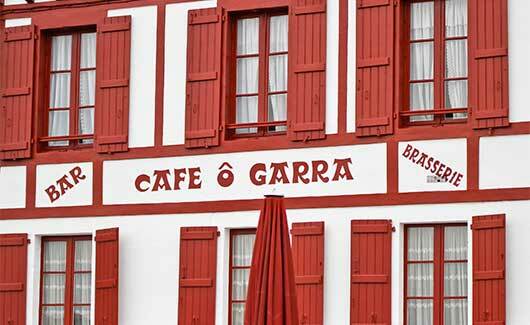 Our motto is welcome and accessibility when it comes to information about places to visit in the Pays Basque. Every evening from 2 – 20km from the campsite you can find a festival – the tuna festival, the sardine festival, festivals in Bayonne, Irun and San Sebastian and the surrounding villages, not forgetting the famous festival of San Fermin in Pamplona just an hour away. The closest shops in the Untxin-Socoa district are 600m away, from where you can take a shuttle-bus to the beach (€1 per trip) or take the footpath and cycle track that runs along the river Untxin to the sea. This pleasant 15-minute stroll from the campsite is great for families or friends. 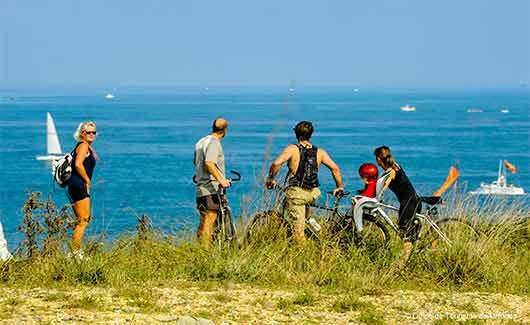 One you get to Socoa beach, which is overlooked by its pretty fort, the footpath and cycle route continues to Saint Jean de Luz. 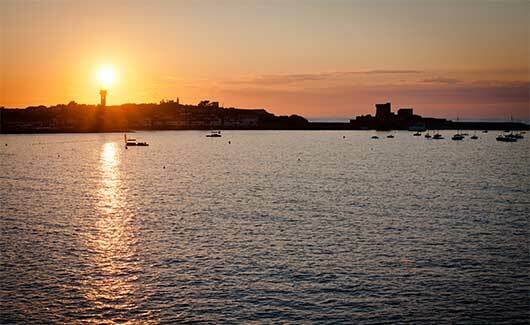 The panorama along the wild coastline and around the bay of Saint Jean de Luz, Ciboure and Socoa is a great view. On the other side, above the fort of Socoa setting off from the semaphore tower, you can embark on a more rugged hike along the coastal path by the cliffs of the Corniche d’Urrugne towards Hendaye as far as the Châteay d’Abadia (6km and you could catch the bus back). Good-value shopping at Col d’Ibardin (5km). id, in mattis luctus non justo efficitur.